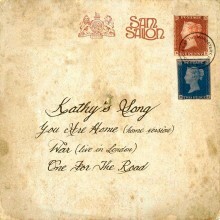 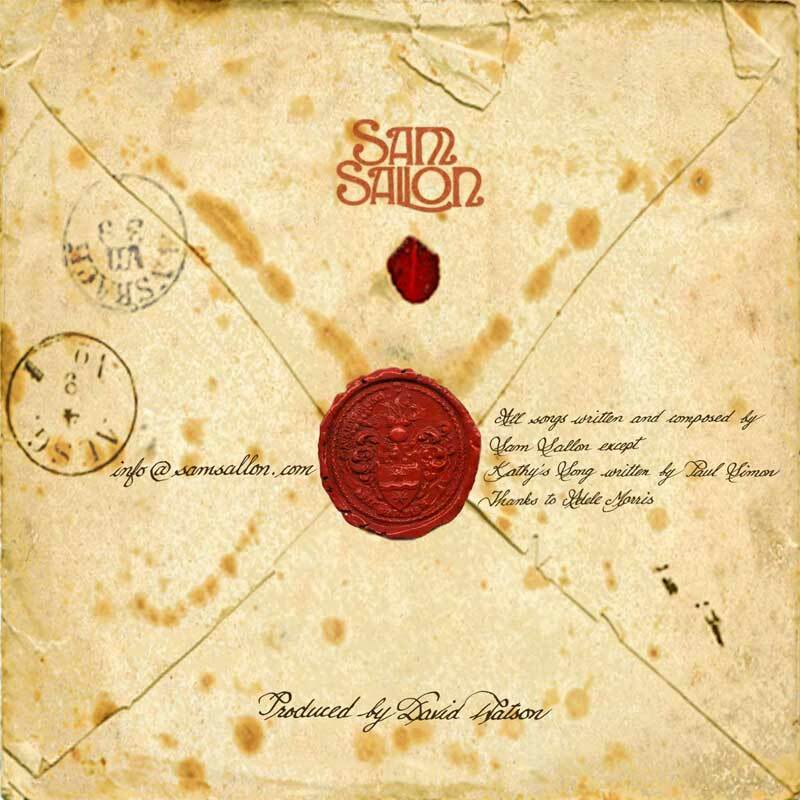 Sam had recorded a beautiful cover version of Paul Simon’s Kathy’s Song as the lead track for an EP. 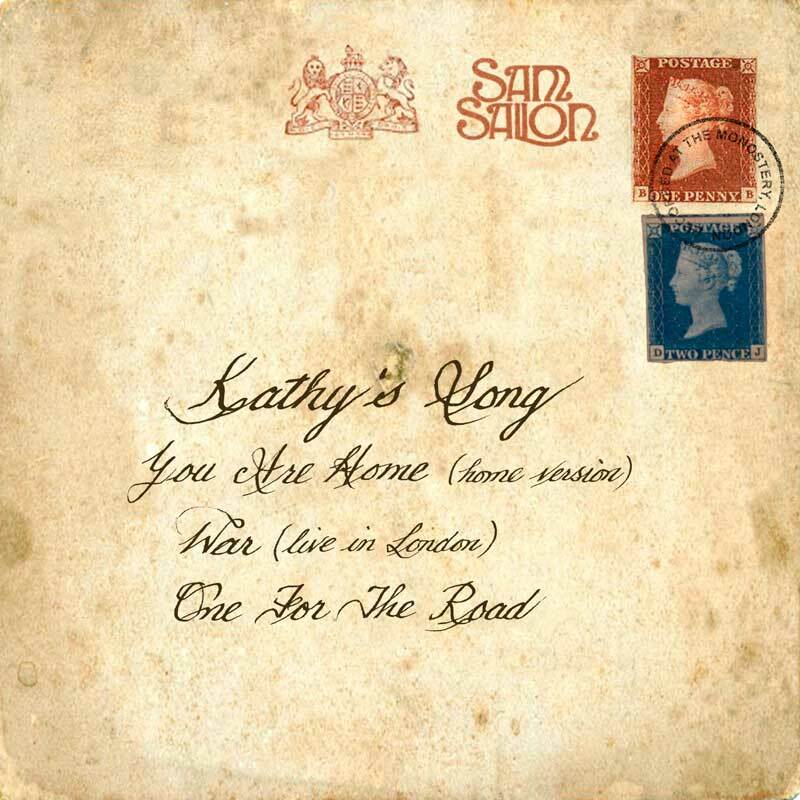 The song was about somebody who has had to leave his lover behind in England, and the lyrics suggested to me the idea of a farewell love letter to Kathy. 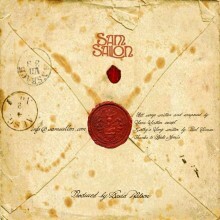 The sleeve became an envelope, complete with a handwritten address made up of the EP’s tracklisting, two very rare Victorian stamps and a specially designed postmark.